I mentioned in my 2018 DC Pen Show post that I purchased a green nib from Hinze Pen Company to match my Green Ivies pen from 18111. At the time, I thought I was purchasing an anodized nib. Turns out, it’s lacquered steel, which explains my experience. At the show, I was warned by a few people that colored nibs tend to experience flaking. Sadly, that warning held true for my nib. I waited a while to write this update, because I was hoping that I could give you a positive result. At first it seemed as though the flaking was minor, and, if it had stayed like that, I could have lived with it. With the first and second cleaning (both within the first month), a bit of green flaked off either side of the nib slit on the outer edge of the tines. It was noticeable, but it wasn’t really obvious, so I hoped that that would be the end of the flaking, and I’d have a good nib. However, with the most recent cleaning, I decided to change the color in my pen. I found, as I cleaned it, that the ink was being particularly stubborn. After 10+ minutes of flushing water through it, I decided to pop it in my ultrasonic cleaner. Last year I wrote about my Stipula Etruria Rainbow Prisma 88 and followed it up with an update. It’s one of my favorite pens, so when the Stipula Etruria Prisma 88 Magma was announced, I snapped one up. Now that my Magma is back in action, I’m writing a comparative review of the two. I couldn’t find anything about the Rainbow when it first came out, and there doesn’t seem to be anything about the Magma, so hopefully, this will help anyone considering purchasing either of them. If you know the history behind these two pens in my collection, feel free to skip down to the main review. 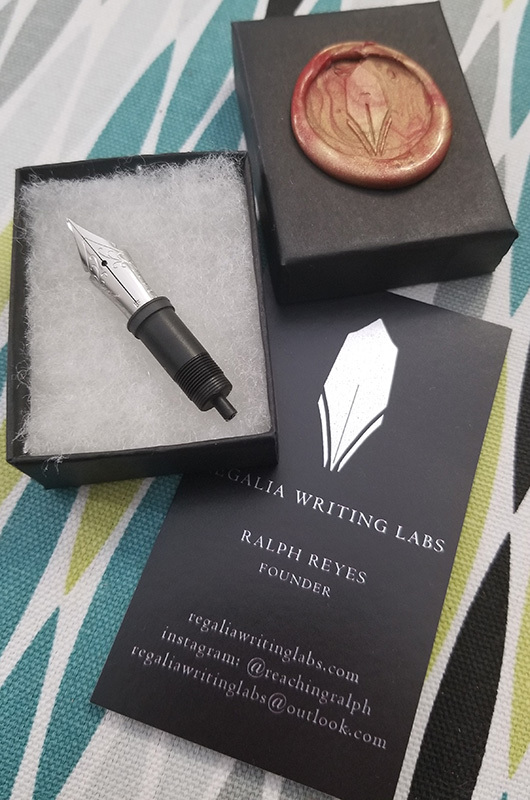 I’ve wanted one of Regalia Writing Labs‘ Sequel Nibs ever since Ralph shared the first photo of one. Part of my interest was based on the uniqueness of the nib, and part was a desire to support Ralph in his continued nib tinkering and modification. I’m very interested to see where his efforts take him. Unfortunately, he teased us all for a while before making the nibs available, and then, only at shows. They’re still (to the best of my knowledge) only available at shows or via Instagram flash sales. With one exception, my experiences with fountain pens have been fantastic. Today I’m going to tell you about that exception. Before I do, however, I want you to keep something in mind. I vacillated for weeks between sharing this story and keeping it to myself. I don’t want it to read as a smear on Motegrappa. What I want you to take away from this story is the amazing customer service offered by Cary Yeager of Kenro Industries. 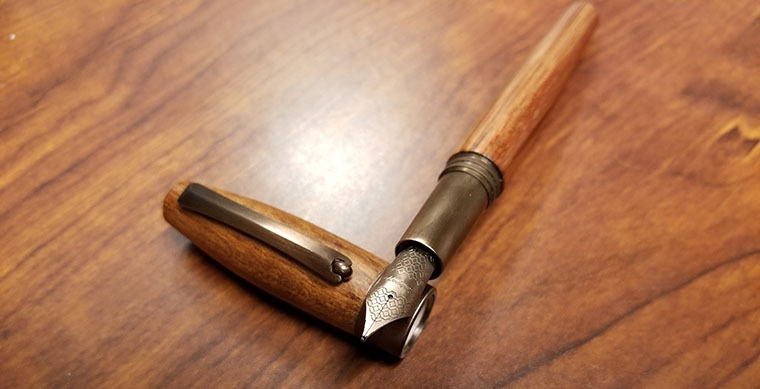 I bought my Montegrappa Fortuna Heartwood Pear (FHP) on November 11 at Bertram’s Inkwell‘s yearly trunk show. I’d been eyeing the pen for a while. It’s beautiful. Cary had one at his table with the nib size I wanted, so I bought it. And so began the FHP saga.